They are open until 8:00 p.m. five days a week. This is exceptional because many people may need to go after work. Other places tend to close by 7:00. I entered the front door to find a nice check-in area with various products for sale. I didn’t have to wait. Anna immediately gave me the information form due to it being my first visit to the business. The process was quick and done in a minute. The prices are some of the best to be found anywhere. I chose the 60 minute massage plus a session in the salt cabin. Let them know in advance if you are interested in the hot stones because they require time to heat up. Must do next time! The room was warm, dim, cozy, and comfortable. Soft lighting, a heated massage table, and a bolster pillow to place under the legs make for a nice hour of relaxation. Recognize these? This is the first time that I have ever seen charging cords for cell phones available in a spa room. Great idea! I like the Himalayan salt rocks and may buy some in the future because they are supposed to offer many health benefits. My massage was divine! There were some things that were different. Anna stretched my arms, shoulders, and legs along with the massage. Here is the salt cabin. They provide information online in regard to the salt room so I was prepared with a magazine and had socks. In fact, I got excited when I saw the antigravity chairs. These are very comfortable and are the exact same chairs that we use in the Asheville Salt Cave. Notice the floor holds a great deal of, I assume, Himalayan salt. Anna said that they are continuing to work on the salt cabin, but I didn’t know the difference. I asked for the lights to be left on bright so I could read my new Vanity Fair magazine. I always get a blanket because it can get a little cool during the 45 minutes. Interestingly, I started noticing effects of sitting in the salt cabin. In the Asheville Salt Cave, I don’t really notice a lot except that my hair feels softer. Also, we tend to go in summer and fall when I am not suffering from allergies, etc. I actually reached for a tissue before the end of the session. It seemed to loosen up my congestion for hours. Very good! If you forget to bring reading material then you can read one of the books on the shelf, if you like. I noticed crayons and paper for children. The third shelf had slip on covers for feet if someone forgets socks. We use them in the Asheville Salt Cave too. The building size is deceptive because once you walk in, you can tell that it is about twice as big as you would expect. There are at least 3 massage treatment rooms, a nice bathroom, and the salt cabin. At the end of my time at Sevierville Salt Therapy, this motto had become true. Go to Sevierville Massage Therapy to relax, renew, and restore. 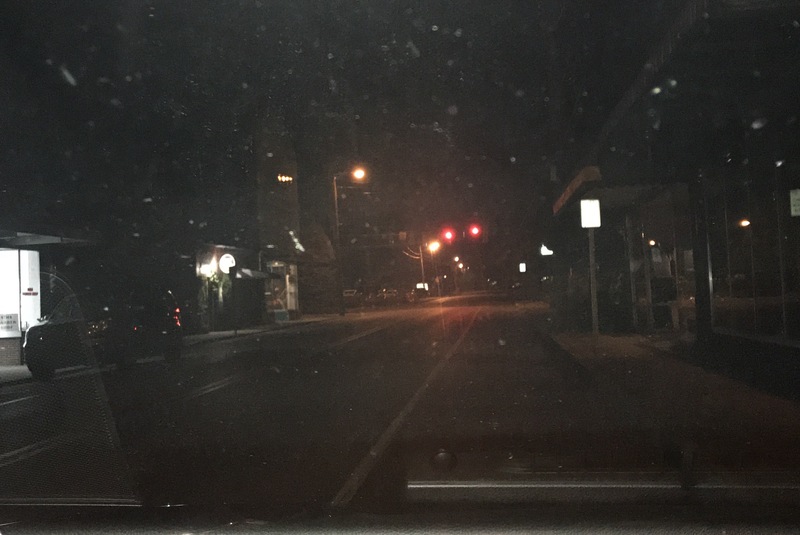 It is close to downtown and many businesses on Dolly Parton Parkway. You will certainly find a new place to stay healthy this winter when you have to go out into the cold while out and about in Sevierville. It was only the third day of the new year and I was ready for a reality break! An ad for Reality Break Massage Therapy appeared on my social media a few weeks ago and I noticed the name of the owner/therapist. I immediately made plans to visit at the first opportunity. I had an appointment on Wednesday and couldn’t wait until the day arrived. Here is what you should know about Reality Break Massage Therapy. First, you should know that the owner/therapist is Nikki Grooms. I met her years ago at Oak Haven Spa when she gave me my first therapeutic massage—and it was fabulous! In fact, I never forgot it and always judged massages by the one that I received from Nikki Grooms. She gave me her business card and I never forgot her name. Over the years, I lost track of her, but found her again due to the social media ad and a Facebook ‘share’ from another client, local artist Bev Gwinn Jones. Here is some information from her bio: Nikki Grooms has been a licensed massage therapist since 2005. Her resume includes working at Oak Haven Spa, the St. Somewhere Spa at Margaritaville, and Blackberry Farm. In addition, Nikki has worked for several chiropractors. Nikki opened Reality Break Massage in 2016 with a vision to offer quality spa services at quality prices. It is personalized therapy as well. From downtown Sevierville, you may need 25 minutes to arrive at the spa as it is in the Seymour/Boyds Creek area. It is mainly a two lane road and you will inevitably get behind a slow moving car so leave early enough to arrive on time. You don’t want to miss a minute. It is a lovely drive through the countryside. The sight of rolling hills, cows, and rivers will start melting the stress away. The picture above is actually on the way back home. I couldn’t resist the mountains. The ad mentioned a Peppermint Bliss treatment so I knew that was the one for me! How cute the bed cover was with the little peppermint sticks. Look at the numbers the mailboxes to find the house if it is your first visit. It is located in a beautiful neighborhood. I pulled into the driveway and Nikki met me outside. Then, she walked me to the spa entrance. Everything is decorated for the season and so cute. Once in the door, you are close to a restroom, shower, and the spa area. Everything you could need is there. The spa room has soft lighting and music to enable relaxation and therapy to begin. The decor and lighting make it so cozy and comfortable. There are a variety of oils which will enhance any session or treatment. Ninety minutes later…Voila! I emerged a new person! Her bio states that Nikki graduated in 2003 from King College with a Bachelors degree in Psychology and a minor in Business and Economics. In addition, it says that “her passion for massage and helping others continues to grow as she works on expanding her small business.” This is certainly true and evident during your session. Clients can also call or text (865)789-0086 . Texts may be returned quicker than phone calls. I was so happy to connect with Nikki Grooms again and plan to have another massage soon. In fact, I hope it to become a monthly therapy. After all, people in my field need a break from reality as often as possible! I’ll take mine at Reality Break Massage Therapy. Someone I know gets a haircut at 4:30 a.m. every two weeks. What kind of place is open that early? I have walked by this Bruce Street business often and have even waved at the gentleman inside as I have walked by to the farmer’s market. 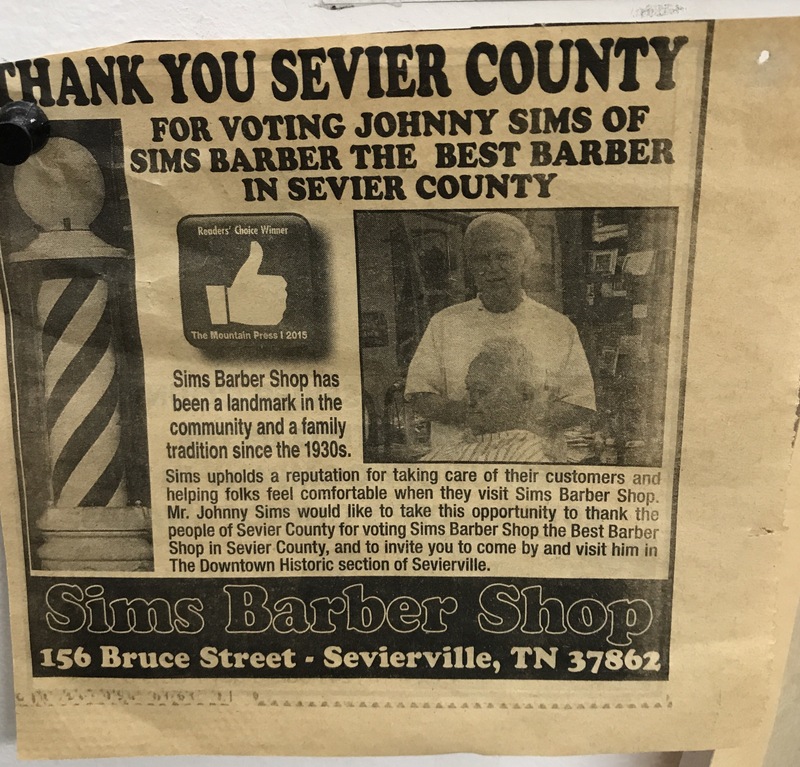 I wanted to know a little more about Sims barber shop, a Sevierville institution; however, I don’t think that I have ever set foot in a barbershop. It was a place that I had never visited before so I needed a guide. A navigator. Jayson Nave fit the bill. 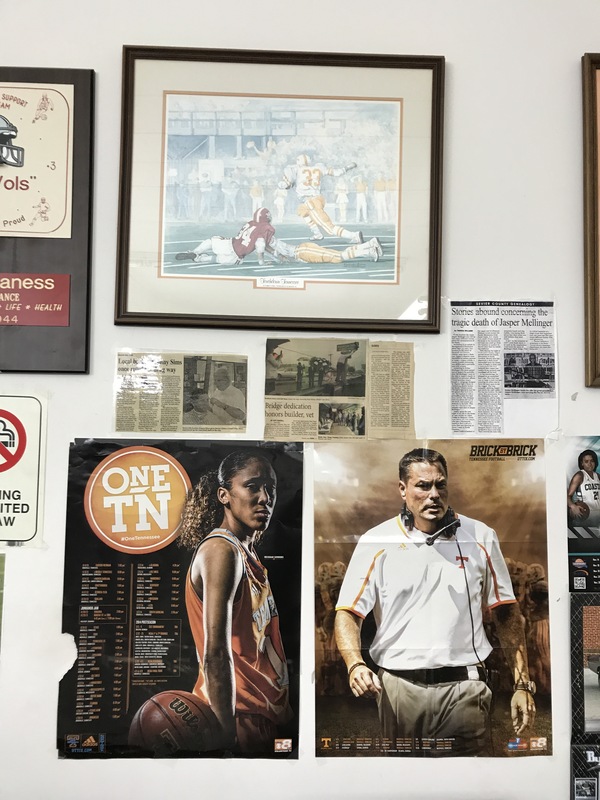 Follow along as I visit a Sevierville tradition and, in the process, meet a huge Tennessee Vols fan. This is a Bruce Street favorite. I thought that Jayson would be there about 4:45. 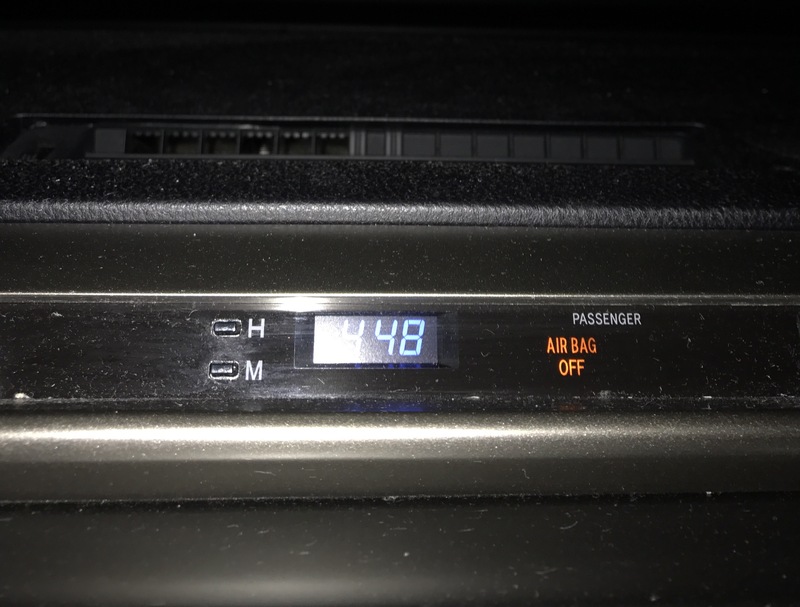 Here is a shot of the clock on my car showing the early hour. Alas! Jayson was already finished with the cut and waiting for me. 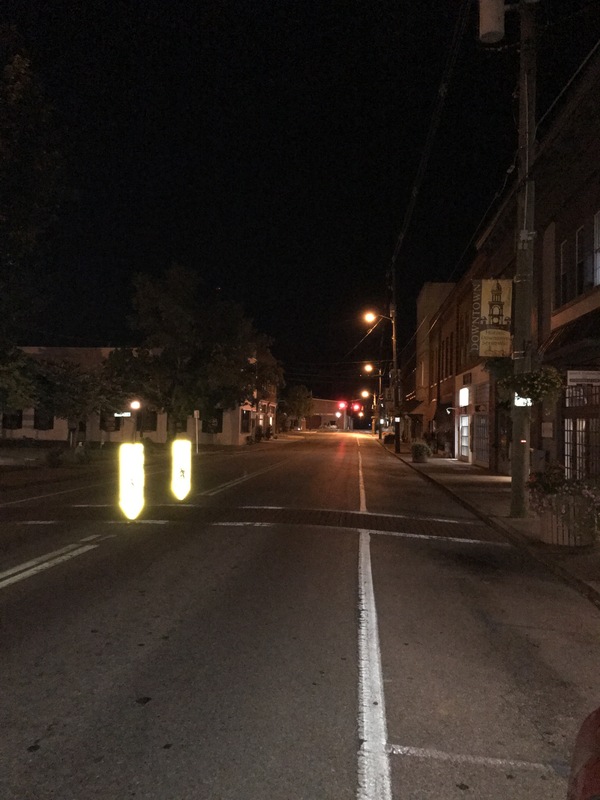 Bruce Street is practically deserted at 4:48 in the morning…except for the light in Sims Barbershop, to the left. You can park right in front of the door at that time too! Mr. Johnny Sims was so friendly and cheerful at that early hour. 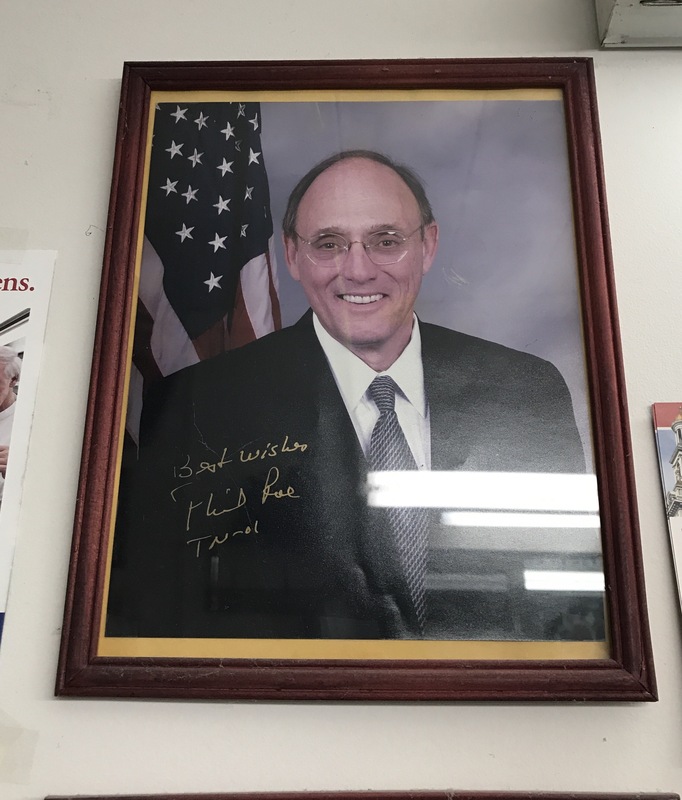 What a wonderful feeling when you enter the shop because you walk into a Sevierville time capsule. There was so much history to see. 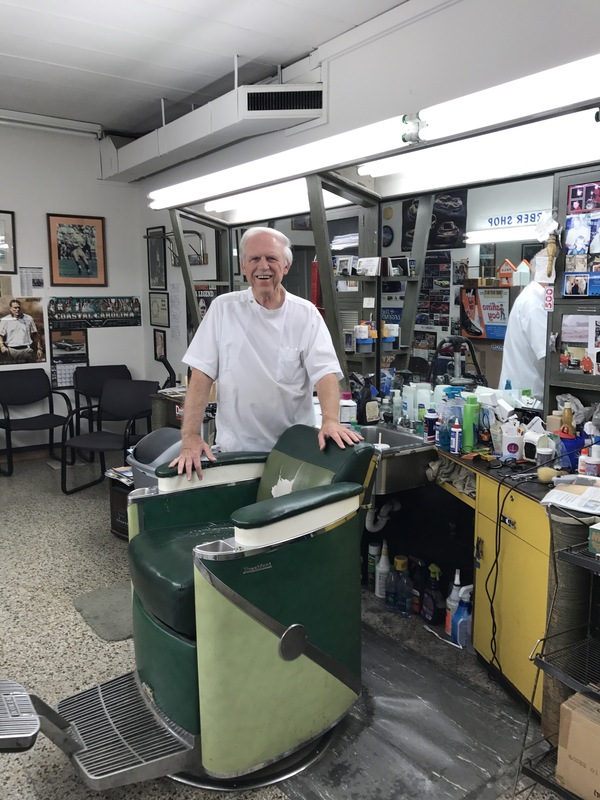 Mr. Sims graduated from the Tri-City Barber College in 1959, then he opened the shop in February 1960. 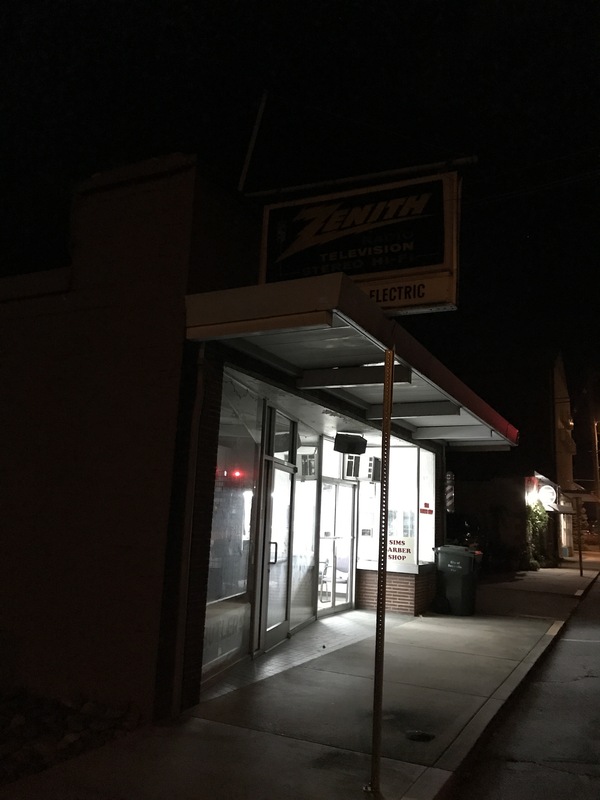 Mr. Sims’ father opened his shop three doors down over 60 years ago. First, I love the barber chairs! So traditional. 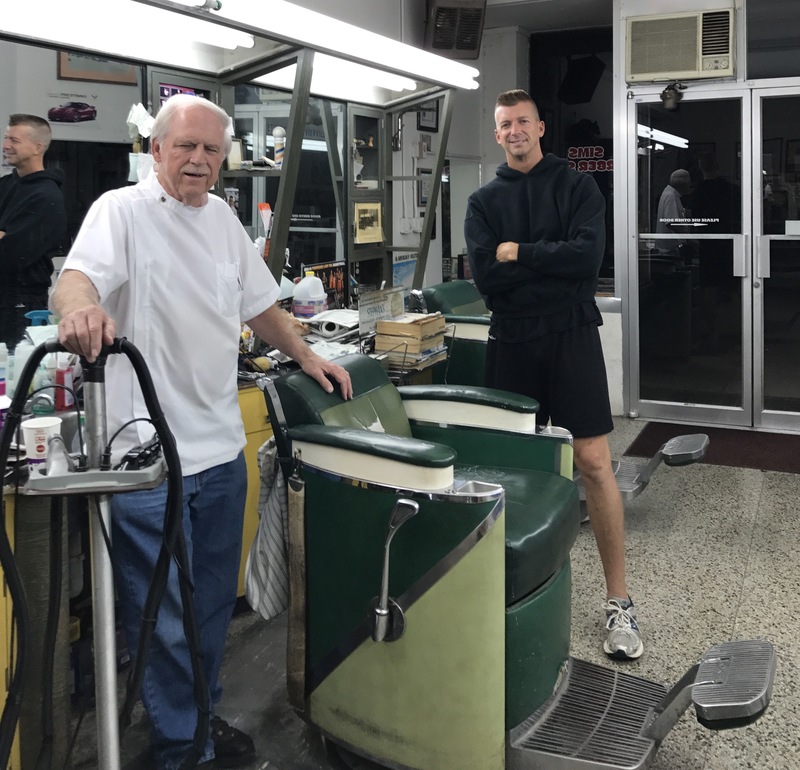 Mr. Sims bought the barber chairs in 1959. Dr. Nave showed me how the barbershop system works. 1. If you are the only customer then you sit in the left chair and get the cut you want. If there is someone in front of you, then take the chair to the right. More people can wait in the chairs along the wall. 2. If you are waiting, find some reading material that interests you. 3. Don’t interrupt the time with the barber and another client. (Sort of like at the beauty shop, or when you work out with a trainer at the gym). These prices have not changed in a long time. 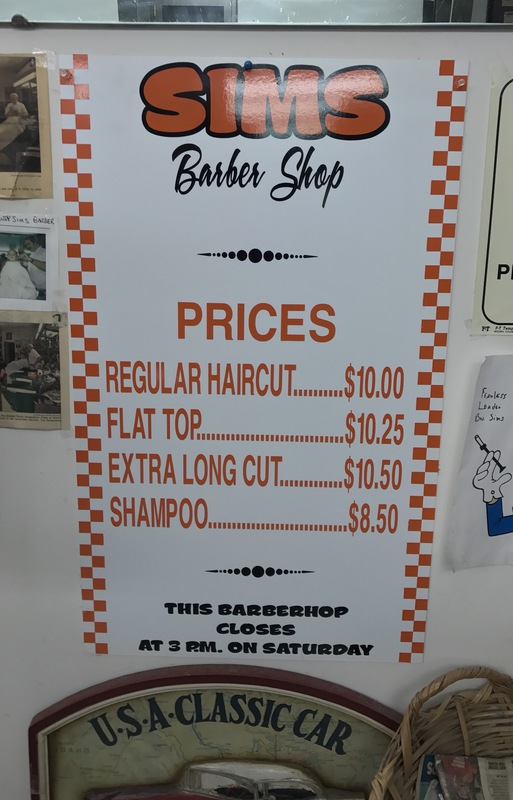 Mr. Sims said that in 1969, a haircut cost 75 cents and a flattop cut was $1. And Johnny Sims can do ‘fades!’ These seem to be quite popular with athletes too. 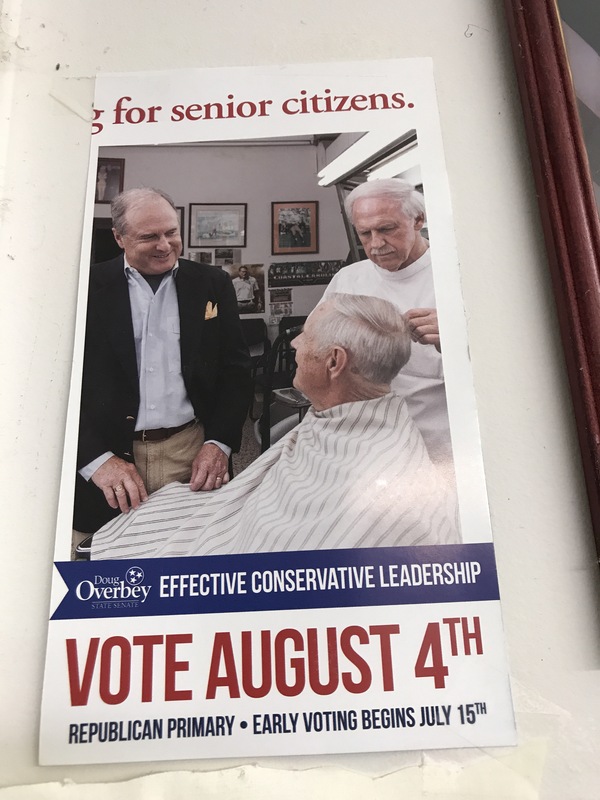 I would say that it is a good idea for local congressmen to get a haircut at Sims Barbershop while visiting downtown Sevierville. It would make me nervous to cut a congressman’s hair, but not Mr. Sims. He said that he felt no case of nerves cutting hair for political figures or others. Can you imagine? This is an award winning barber and barbershop. I felt very comfortable there. 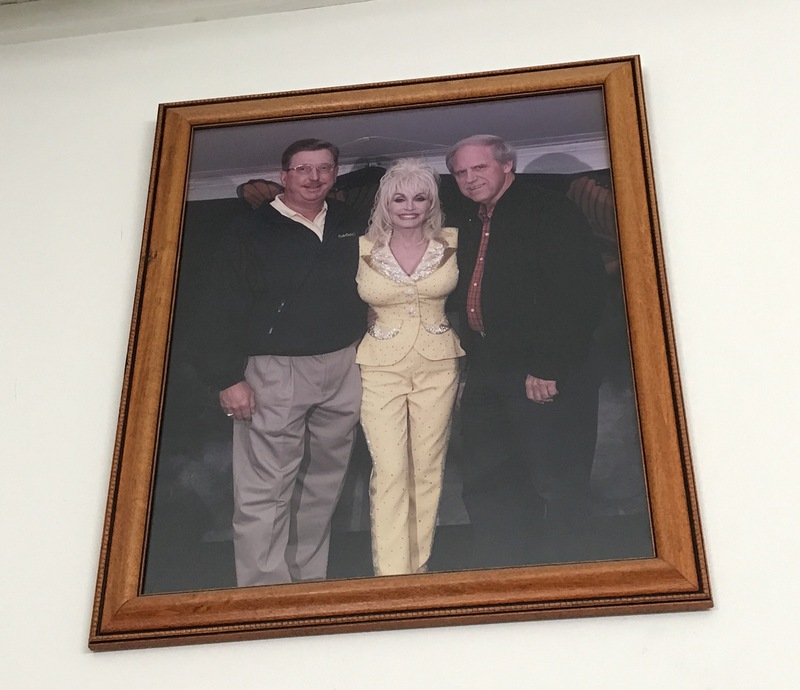 Mr. Sims is a fan of Dolly Parton. In fact, he attended Sevier County High School, like her, although his class was 5 years ahead of Dolly’s class. 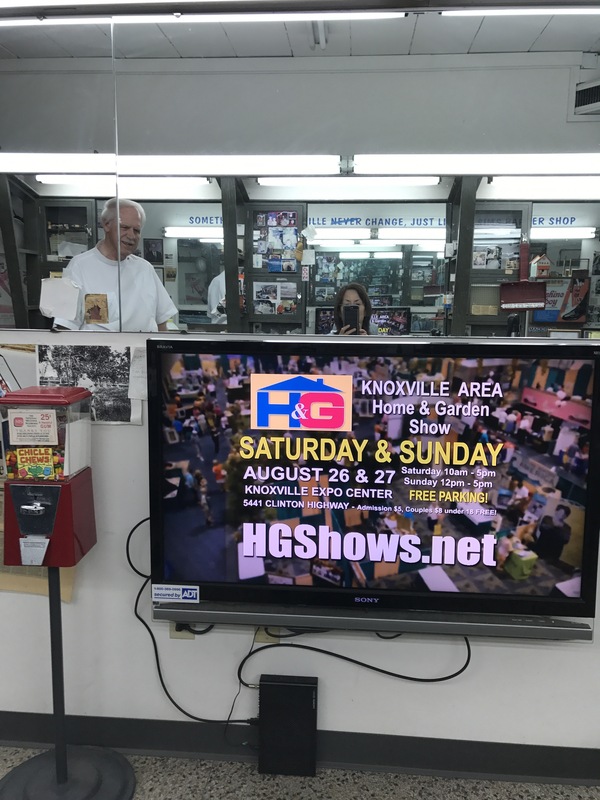 Everyone is sure to love the big screen TV placed strategically in front of the main barber chair. It couldn’t be more comfortable or convenient. Mr. Sims is a Vol fan and supports all the teams: Lady Vols, Vol basketball, and, of course, football. 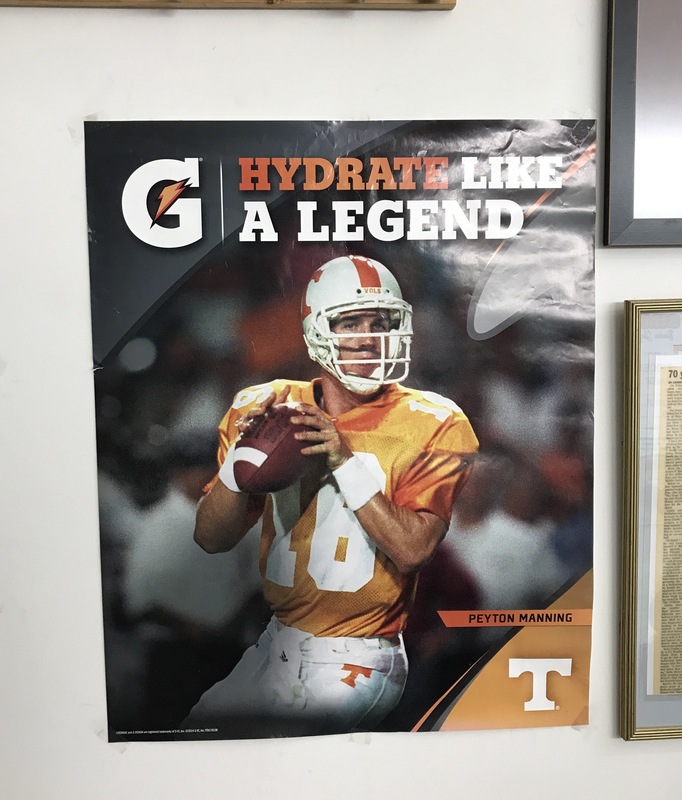 Mr. Sims is a huge Vols fan, as you can tell by the memorabilia on the walls. In fact, he closes his shop on home game Saturdays two hours before game time, no matter what. He has attended Vol home games for over 45 years, with seats in the horseshoe of Neyland Stadium. 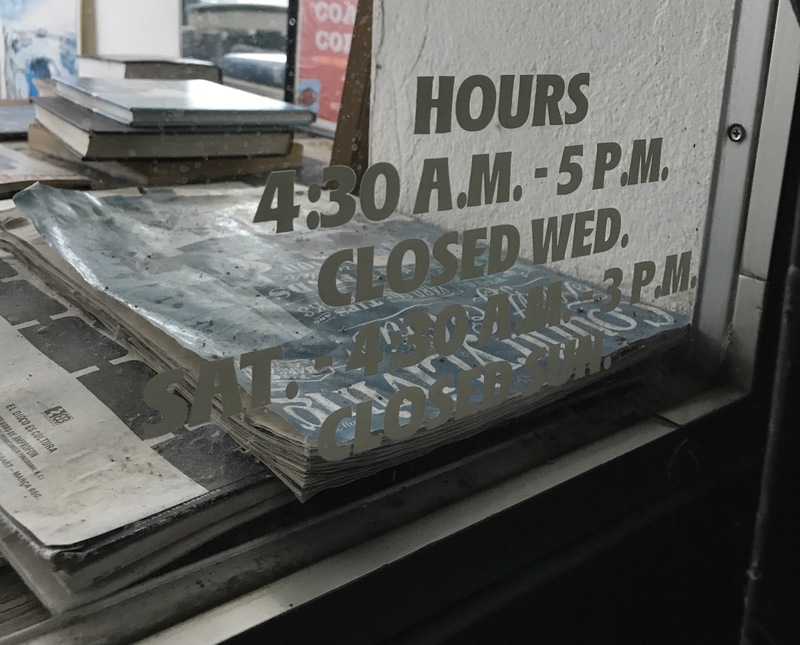 These hours are great for customers. Mr. Sims may be the hardest working barber in East Tennessee! He is closed on Wednesdays and Sundays. 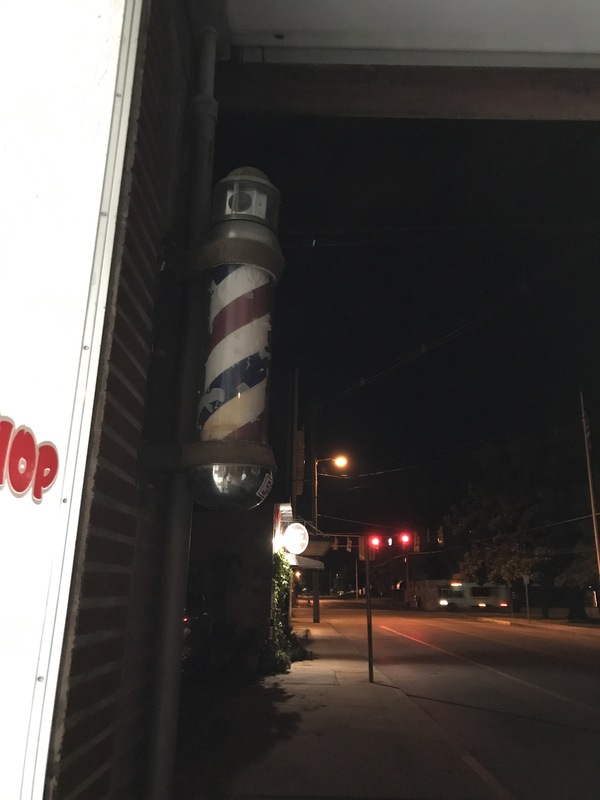 This is the original barbershop pole that he bought in 1959. It doesn’t work right now, but still is a traditional sign of the service. I wish that someone could go there and fix it for him. How cool would that be? 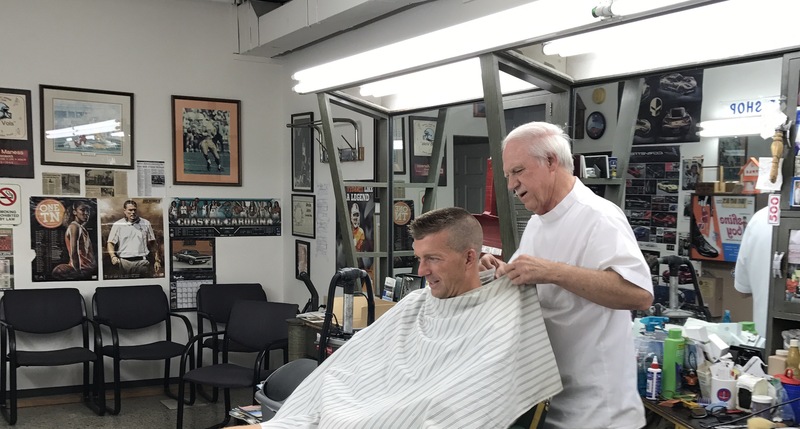 I enjoyed this visit to Sims barbershop and felt so welcomed that I can imagine how customers feel there. In fact, I told Mr. Sims that if I were a guy then I would certainly get my hair cut there too. It was enjoyable to see and hear things about the shop from so many decades. I appreciated Dr. Jayson Nave introducing me to Johnny Sims, proprietor of Sims Barber Shop. 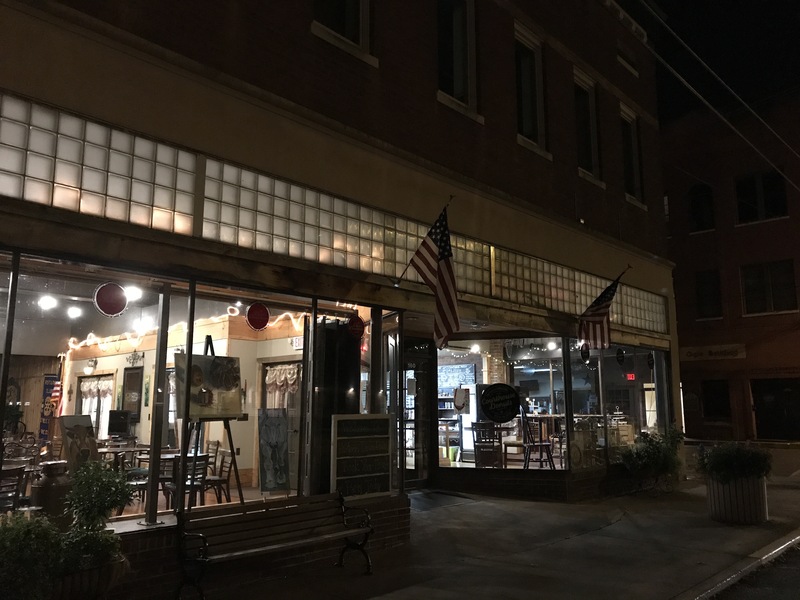 Dr. Nave knew what I needed to see and hear about the owner and the shop for this story. And what a good story it is, because the barbershop has served this town for decades. Clearly, it is a Bruce Street destination. I’ll be sure to continue to wave each time that I pass there because Mr. Sims is a Sevierville institution. Make sure that you do the same when you are going down Bruce Street. Mr. Sims will certainly smile and wave back. 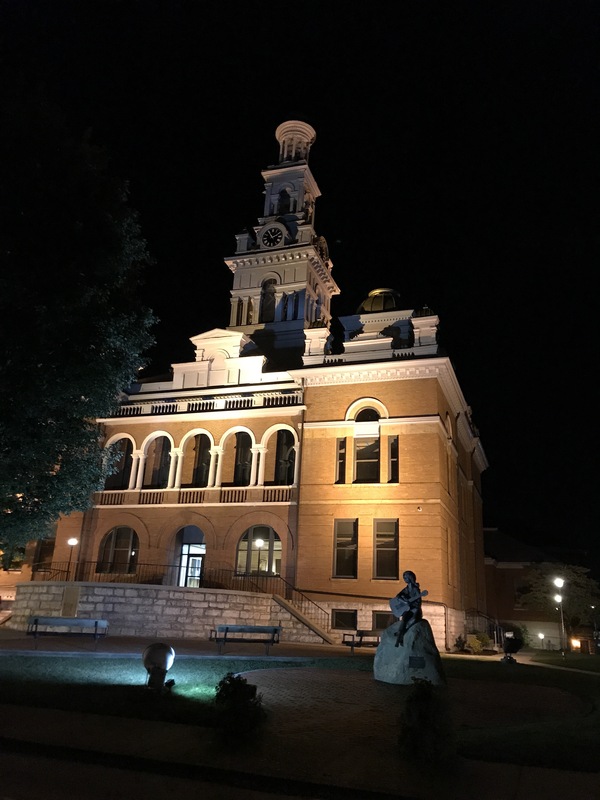 I’m glad that this blog makes me get out and about in Sevierville. Downtown at 6:15 in the morning as I headed back home to get ready for the day. Not stirring yet, but Courthouse Donuts is beautifully lit up from within.